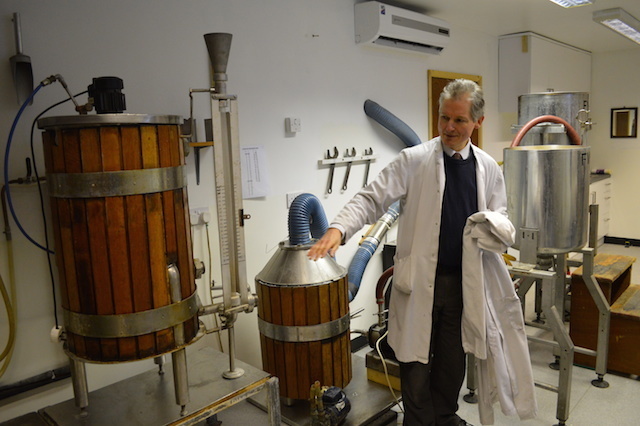 This is John Hatch, showing us the most remarkable microbrewery in London. It doesn't look much. The drum beneath his hand is an old tea urn, salvaged from a canteen and insulated with wooden slats. But this homebuilt kit represents half a millennium of tradition. 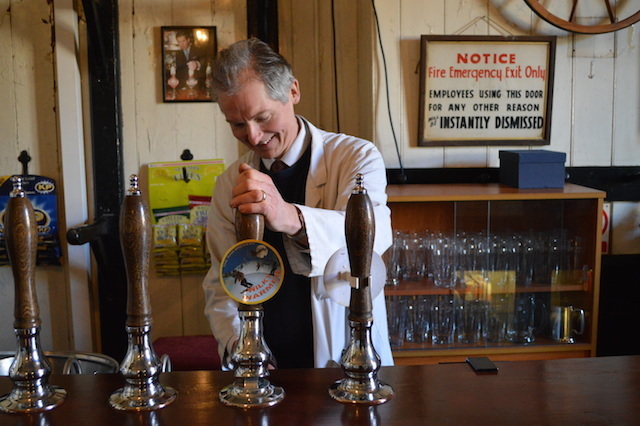 John is the sole remaining beer maker at Wandsworth's Ram Brewery, where brown booze has been crafted since Tudor times. From the 19th century, The Ram became intimately associated with Young's and Co, who brewed on this site between 1831 and 2006, when operations moved to Bedford. Chairman John Young, great-great grandson of the founder, died just days before the closure, and the last batch of Wandsworth beer was served at his funeral. That might have been that. The oldest site of continuous brewing in Britain, so it's claimed, looked set to discontinue brewing. John gave us a tour of the older parts of the site, which are Grade II listed and will be woven into the development. 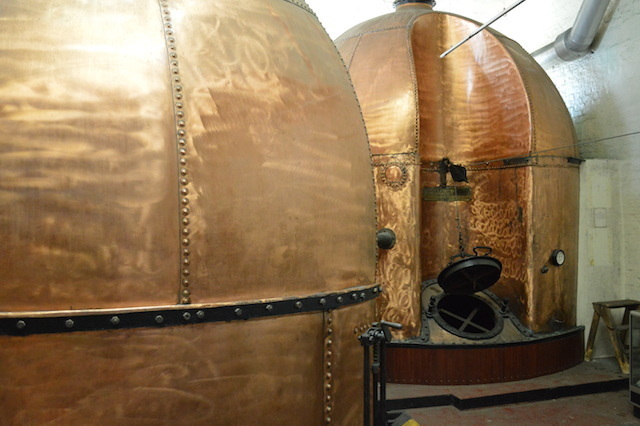 The great beer vats that caused decades of joy and hangovers are still in situ. 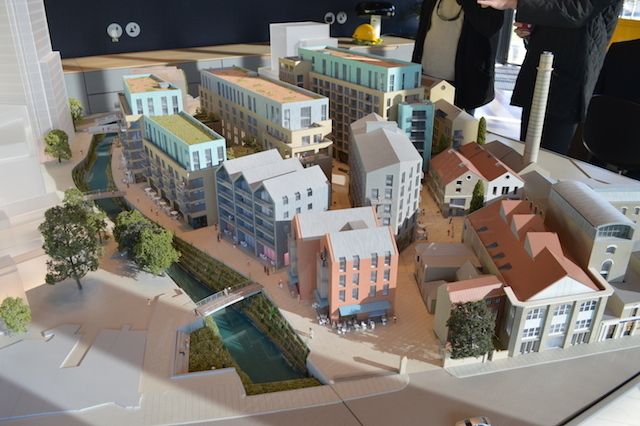 Their future is undecided, but our suggestion of giant hot tubs for residents was met with mock approval. 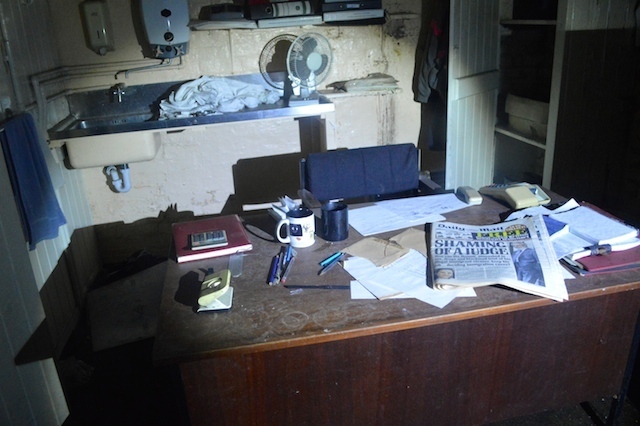 Elsewhere, the deserted buildings remain largely untouched from the day they were abandoned — a Beery Celeste where even the foreman's office still displays a 2006 wall chart, an evaporated cup of tea and a yellowing Daily Mail. The surviving brewing equipment is largely antiquated. We're shown a set of cast iron grain hoppers, over a century old. 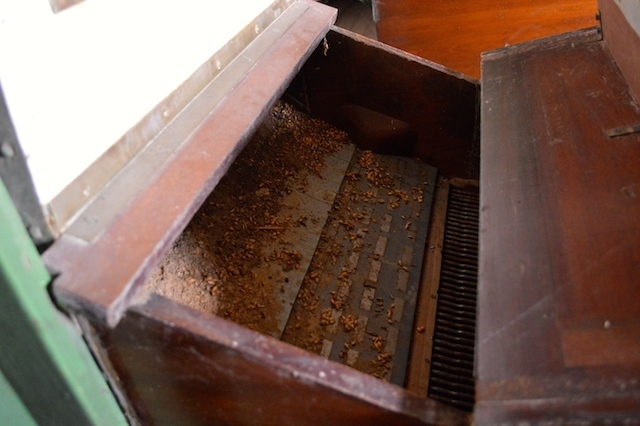 These barley grains have sat in this chamber since the 1970s. Downstairs we inspect a pair of gigantic beam engines. 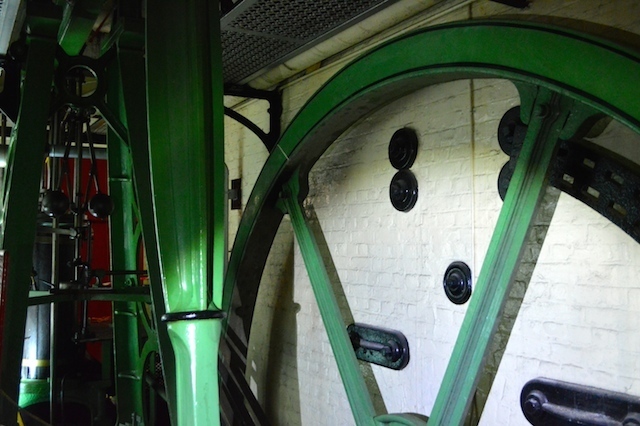 The first was installed in 1835 and is thought to be the oldest functional beam engine still in its original location. 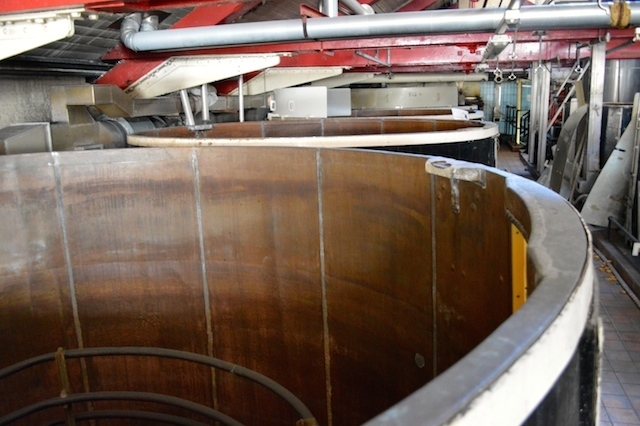 It was used right up to the 1970s to drive the brewery's mill, and pump wort around the building. Finally, we're shown the great copper fermenters created, as a plaque attests, in Shoe Lane in 1869. These antique vessels were scarred some time ago by unsupervised workers, who decided that copper is best polished with angle grinders. The result might horrify heritage professionals, but the shimmering effect is not entirely unpleasant to the eye. John then escorted us to his pride and joy: the 'nanobrewery' in which he's carried on the brewing tradition since 2006. John is a former Young's brewer, but now makes his ale on behalf of the site's developer, Greenland. When he heard that Young's was to sell the brewery site, he approached the developer and offered his services as site manager. He now brews at least one batch a week, meaning that the complex can still claim to be Britain's oldest site of continual brewing. This seems to have gone down well with flat hunters. The majority of sales are going to British buyers, unlike many new developments that sell out primarily to overseas investors. Us Brits love our beer. John's tiny brewery uses salvaged equipment from the Young's days. 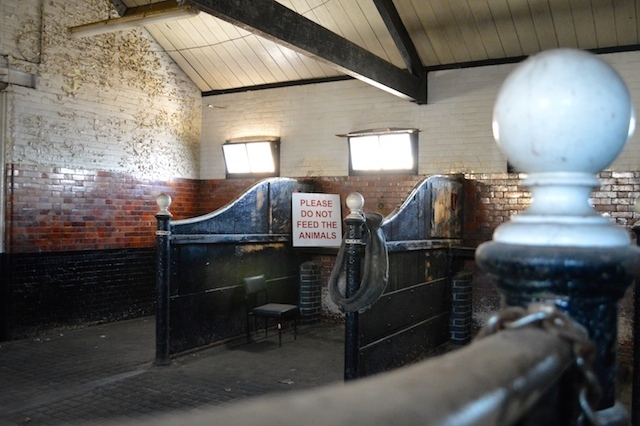 It's currently housed in the Ram's old stable block. Horses could be found here until the site's closure in 2006, along with geese and a token ram. The beer is superb. Even at a week old, the 5.2% Wilky Warmer went down as well as anything you'd find in a Young's pub. Alas, you can't just turn up to this tap room. A drink here is pretty much by invitation only. This will change with the opening of the Ram Quarter development and the expiration of that 10-year veto. John's future, and the future of brewing in Wandsworth, look bright. 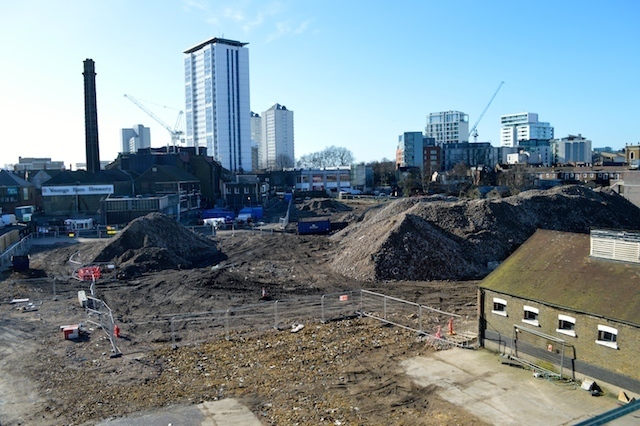 With a public microbrewery and brewing museum set to open alongside the new apartment blocks, there's every reason to hope that beer will continue to be brewed on the banks of the Wandle for another 500 years. For info on future open days and events, follow the Ram Brewery on Twitter, @RamBrewery. Mapped: London's breweries and brewpubs by borough. 1000 Londoners interviews John Hatch.